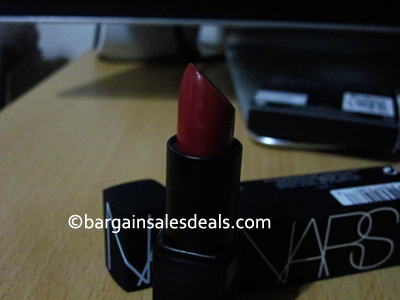 I was in a lipstick shopping spree about couple of months ago and bought some MAC lipsticks and this time I wanted to try NARS cosmetics for a change. Went at Rustan's Dept. Store, Shangrila EDSA with my niece and looked around the cosmetics section then found this. The gay sales agent was accommodating and let me look for the shade that I wanted. 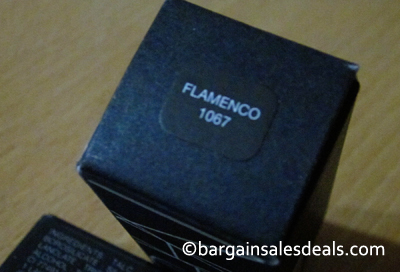 He even tried some for me until I finally decided to get this NARS Flamenco red lipstick, which is a deep red. It'll onlly need few swipes on my lips to get the desired shade that I want and I finish it off with a lipgloss. I end up buying this lipstick and a eyeshadow that I will blog soon.